Sometimes the games we play come from a place of interest, such as us being animal lovers or fans of chocolate, but then other times we play games because of how exciting they are. 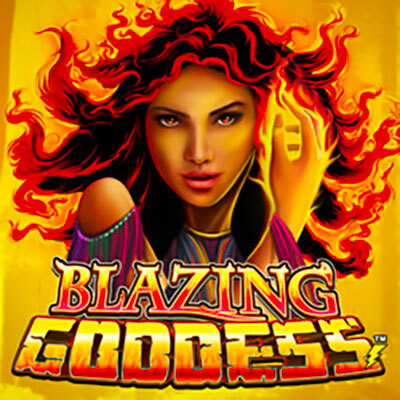 Games such as Blazing Goddess. As the name sort of suggests, this is a 5 reels video slot that’ll set your devices alight with warmth, tropical imagery, and a native sounding track of music. We can’t say that this is going to be a slot that brings sunshine into your life, or that you’ll walk away a million times richer than when you started. That being said, it’ll at least give you a new genre of casino activity to play, with the Lightning Box creators crafting a colourful world for us to move within. Typically when we play online games, they come from more renowned labels, those that have been around for such a long time that they’re part of the furniture, so to speak. In this instance however, we’re given a newer company to interact with. However, when we say new, it still refers to a brand that’s 14 years. What is most unusual about this company, is that it was founded by mathematicians, with the whole team having over 20 years of experience. Due to this sort of background, the games they design are more out of the ordinary, with Lightning Box known for gifting users the most wonderful of bonuses. So far upon these reels we’ve seen nothing blazing, with the scenery nothing but tranquil, it’s only when we form a win that the goddess starts to reveal herself. Even then though, it takes one of the special features for her presence to really felt. To launch into one of the game’s extras, you’ll need to create an adjoining winning combo, which should be easier due to there being 1,024 ways to play. Statistically speaking, ways to play lower the volatility rather than increasing it. This should then mean that the bonus game of free spins shouldn’t be too far from your grasp. Scatter Bonus: At least three of the volcano will be needed to start this bonus round off, with a maximum of 30 games available. Of course, to get that amount, you’ll need to connect five matching symbols. If you’re so lucky, these spins can be activated once again. Wild Fireball: When the above free games are in play, another feature will make itself known, called Wild Fireball, with these flaming icons added to the second, third and fourth reels. Blazing Goddess Wild: In spite of it being the lesser of the extras, this feature can gift you a multiplier when appearing on the second and fourth reels. Only the scatter symbol will be left unharmed by this particular wild. We can’t say that the gameplay is the most stimulating that we’ve experienced, nor that the rewards are the greatest. However, we can’t deny how attractive the aesthetics are, as well as how much more fun the ways to play system is. In spite of this being the case, customers should be warned that the volatility is high with this title.